Liverpool got the final spot for the quarter finals in the Champions League! Liverpool took away Inter Milan's chances in winning the Champions league title after Liverpool defeated Inter Milan in their 2nd leg match at Stadio Giuseppe Meazza. 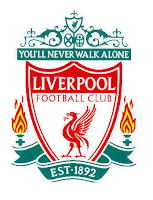 Liverpool became the 4th English team club to make it through the quarter-finals and a chance to be crowned champions again. The match started to turn to Liverpool's advantage after Nicolas Burdisso was sent out of a game at the 50th minute. 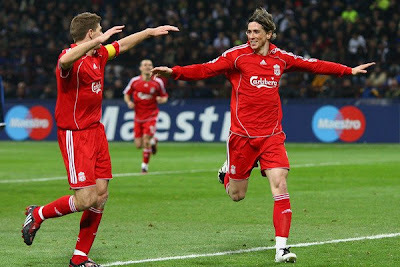 Liverpool saw their chances for producing a goal against the crippled Inter Milan and took over the lead after Fernando Torres delivered a goal at the 64th minute(1-0) which secured a spot for the quarter finals. Now, they're in! !